Why Are Roof Styles Important? A roof can be the most distinguishing element of your home or business, and greatly affect its overall look and style. Because all roof types are tailored to meet certain needs, it is worth learning the different roofing styles available, and how they differ in shape, detail and design. Additionally, the choice in roof style can heavily influence the cost of your building or renovation plans, as roofs are made from a wide variety of materials and substances. Roof 101 can advise you on the most suitable and cost-effective roofing designs for your home and/or business, in accordance with your taste and budget. 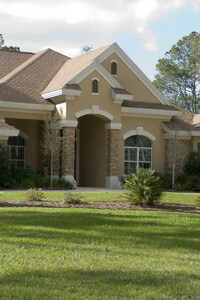 There are 2 main kinds of shapes that a roof can assume; gable or hipped. The difference between them lies in both the slope-line of the sides of the roof, and the roof-to-wall junction. Gable shaped roofs are defined by the meeting of two straight slopes from the ridge of the roof, falling all the way to its eave. The result is the creation of a peak or triangular shaped structure on either the side or face of the façade. The side of the gabled house on which this peak is seen is called a “rake”, and the side on which the slope is seen is called an “eave”. In contrast, hipped-roofs have an even roof-to-wall junction, as the roof plane is broken along the slope line, allowing for an easy wrap around the building’s structure. 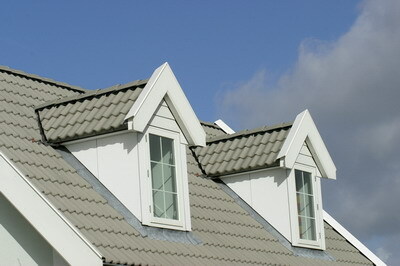 As a result, hipped shaped roofs also have eaves on all sides. As already outlined, the shape and design of a roof is built according to certain requirements and functionality. The gable shaped roof is arguably the most commonly used roof style, as its triangular shaped slope allows for rain, snow, leaves and any other kind of debris or weather damage, to simply fall off the roof and away from the building. Although gabled roofs can differ in their pitch and steep grades, they all serve the same purpose of efficient run-off of water, and therefore also protection against its damaging effects. Hipped roofs, on the other hand, are highly suitable for extreme weather conditions, as the shape of a hipped roof, along with its complex internal framing, braces against strong winds and even hurricanes.